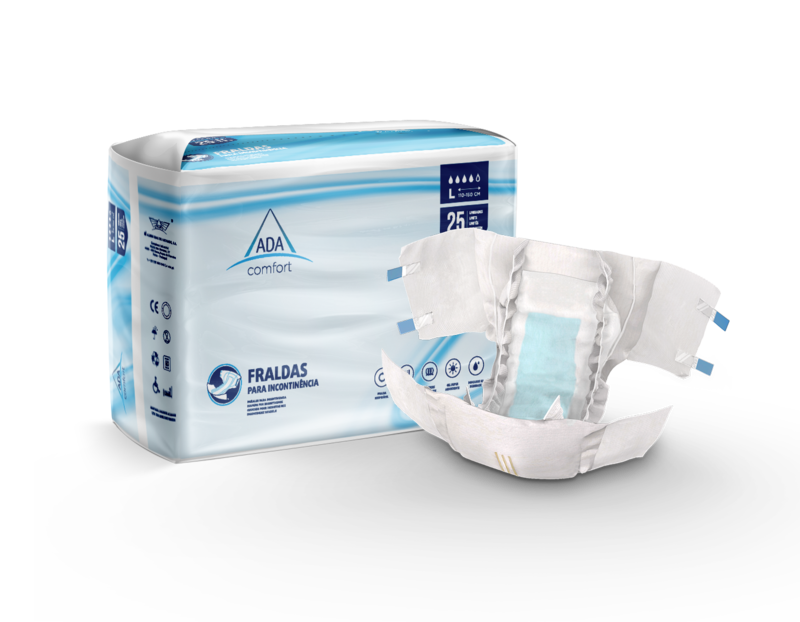 We are the only Portuguese company certified for the manufacture and development of incontinence products. We use the best raw materials and state-of-the-art technology to provide you with excellent products that improve your quality of life. 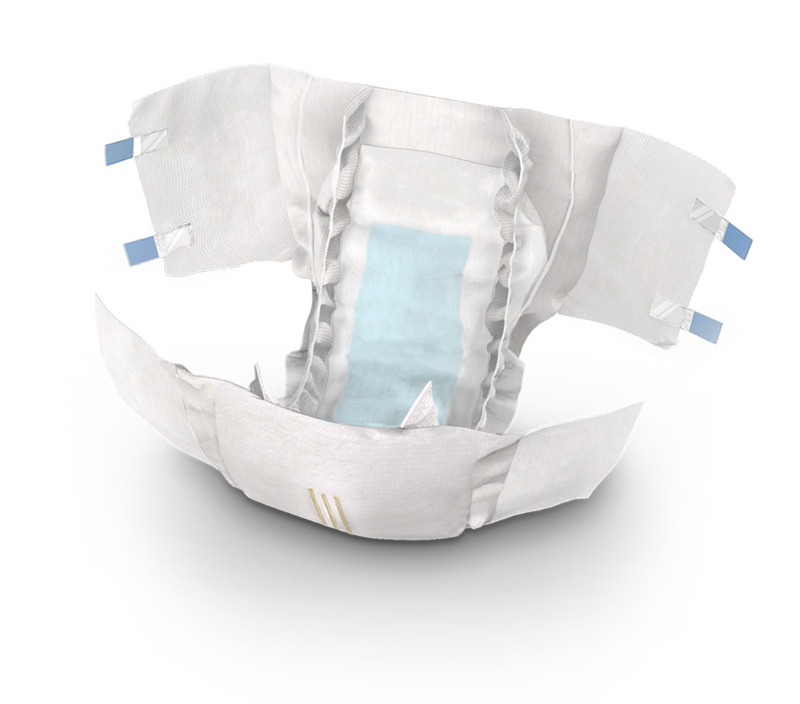 For improved quality of life, ADA COMFORT diapers grant proper protection with maximum comfort. Used materials were strictly studied in order to prevent allergic reactions, therefore adapting to all skin types. They come with a high-absorption capacity, always keeping your skin dry. 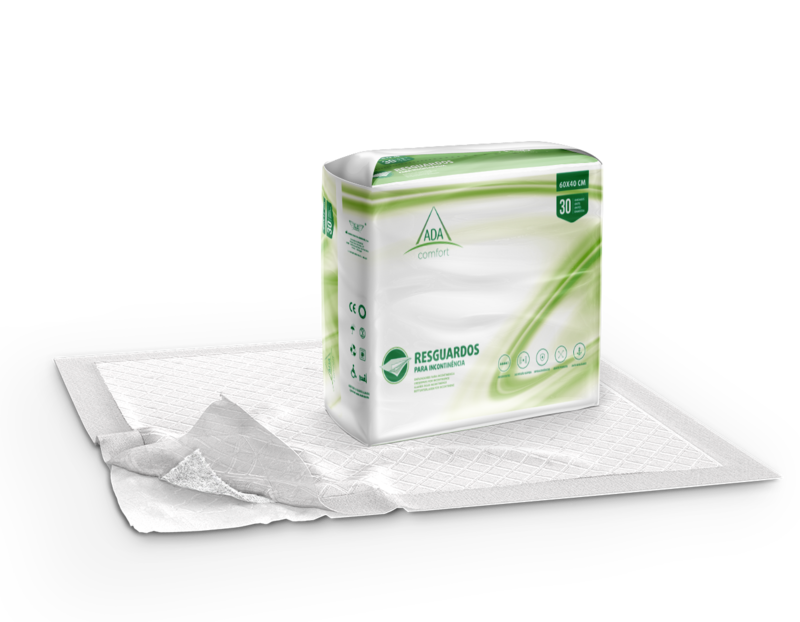 ADA COMFORT underpads are protective, hypoallergenic and have high absorption and retention capacities, and an anti-slip surface. Highly resistant to rupture, therefore decreasing cellulose degradation. Available in sizes 60×40, 60×60, 60×75, 60×90 and 80x180, therefore perfectly fitting different surfaces.